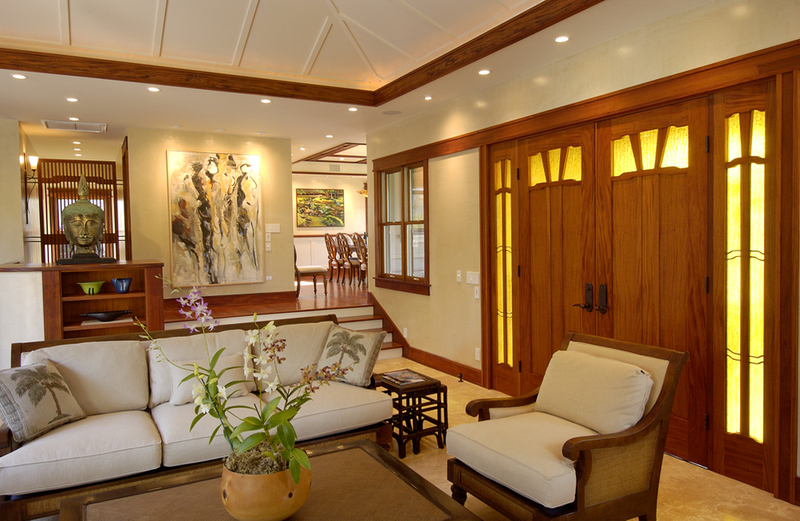 Back to Bungalow — Geoffrey Lewis Architect, Inc.
Kahala Avenue has been experiencing a depletion of classic island homes, being replaced by air conditioned boxes that maximize the lot coverage. Back to Bungalow is an attempt to reestablish an appropriate architecture that we once enjoyed. The home provides many of these historic qualities such as cross ventilation, indoor-outdoor living and exceptional detailing. 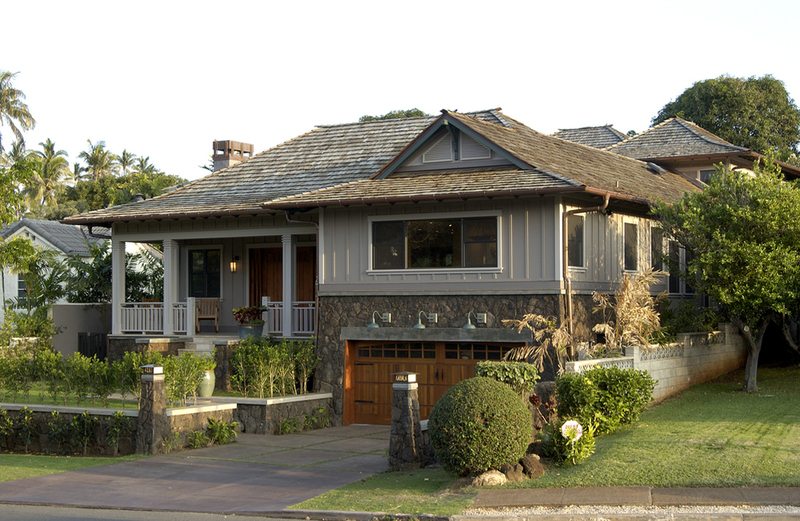 The house presents itself to the neighbor hood with the classic ‘craftsman’ details, materials and iconic elements. Most notably is the front porch, once prevalent throughout the islands, which provides the ultimate symbolism of being neighborly and welcoming. 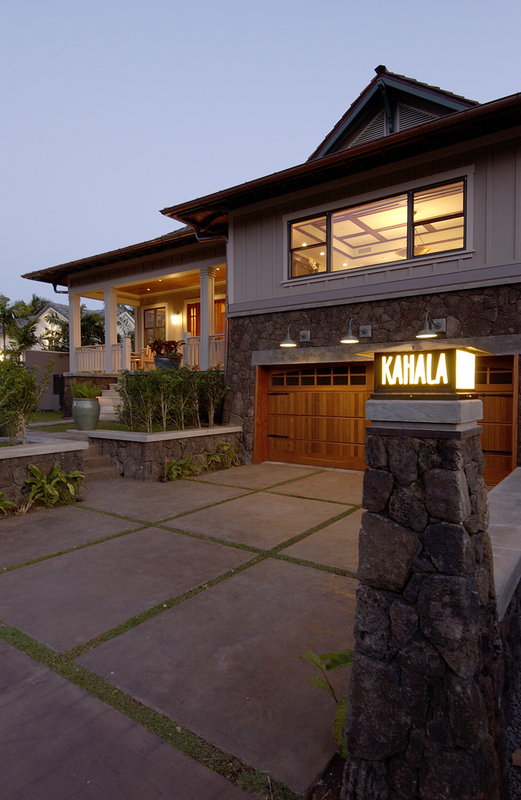 The board & battens, moss rock walls, stained concrete and integrated garden all contribute to this classic Kahala experience. After experiencing the front porch, one enters the house to the surprise of a beautiful private courtyard. Large glass sliding doors provide the perfect connection to the outdoors, allowing for indoor-outdoor living and the infiltration of daylight into the interior spaces. 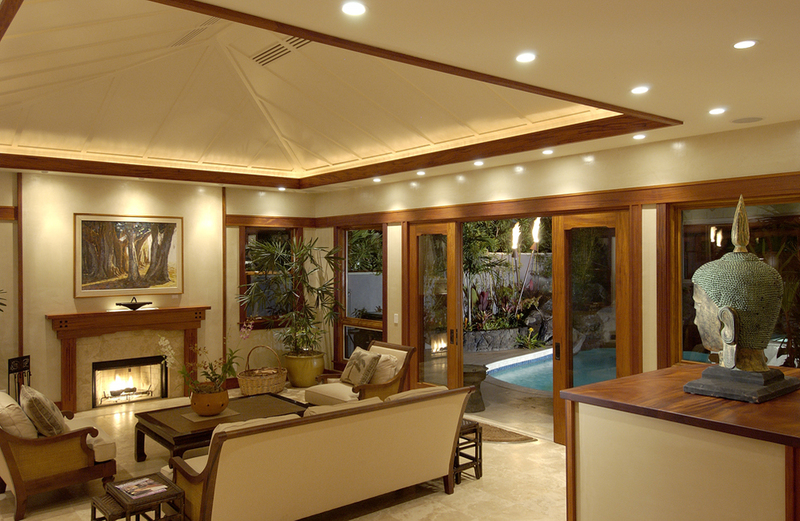 The garden pool and waterfall feature provide an amazing tranquil quality to both the courtyard and interior spaces, diminishing the sounds from a busy Kahala Avenue. Although the house has a formal plan, the physical and visual flow between spaces provides for a more casual sense of island living. 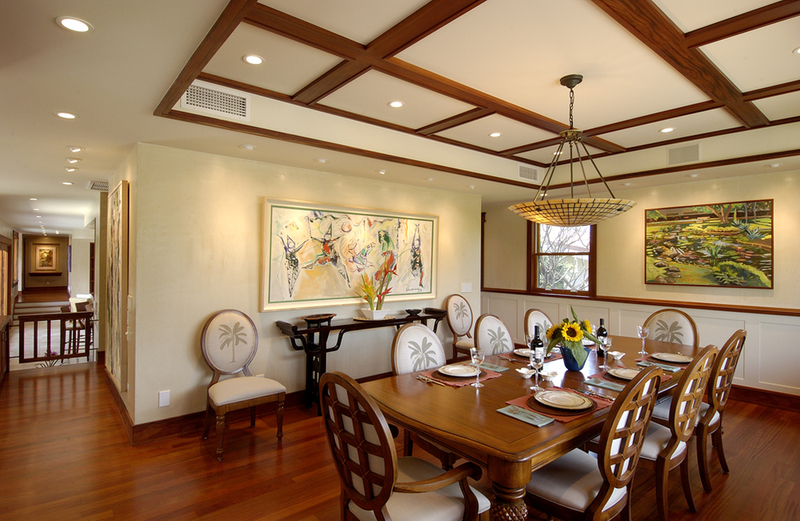 The interior enjoys exquisite craftsman detailing much like the exterior. Medium toned woods balanced with the lightness of the travertine floors and light plaster walls create a perfect balance of light and dark and provide for the contrast which allows these amazing details to speak.